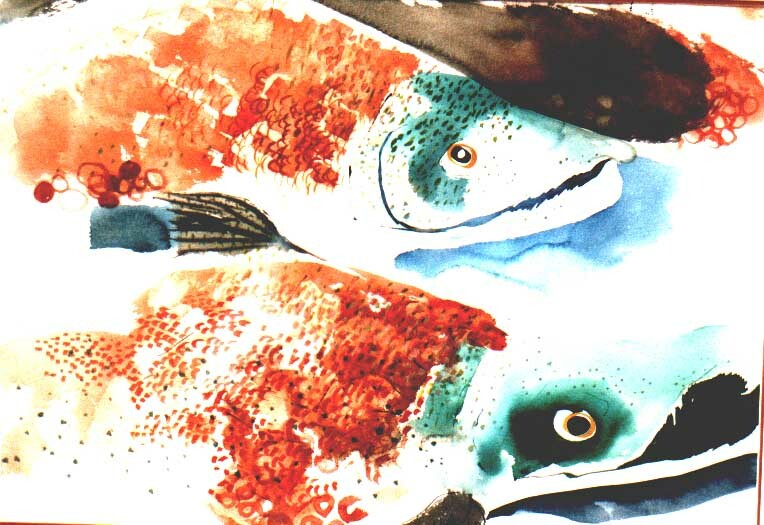 Sockeye salmon have for many years captivated me. 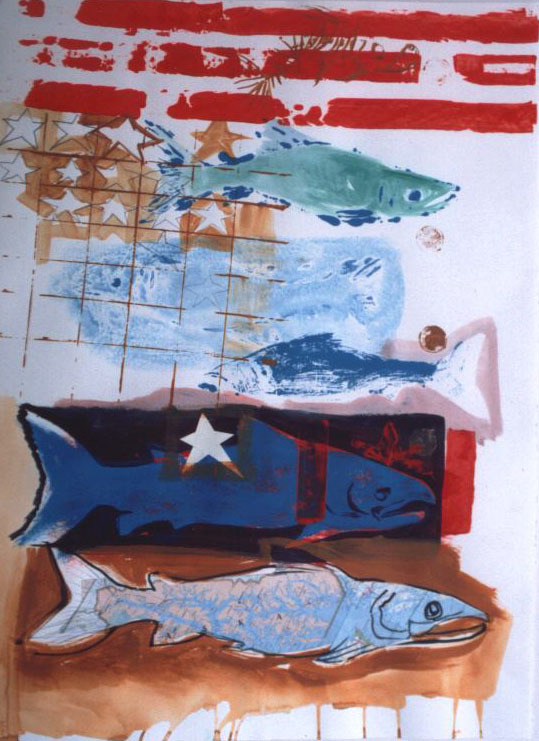 There is a striking beauty to the life cycle and journey of the salmon on BC's west coast which has particular significance to our culture and environment. 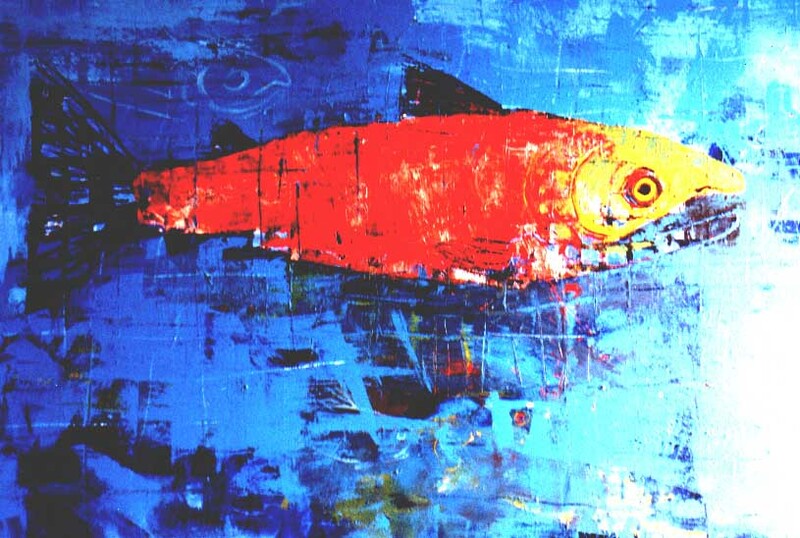 "Caught" acrylic on canvas 48" x 72"
The spectacular final stage of the sockeye salmon spawn has shown up in my images over my entire career and will likely continue to do so. 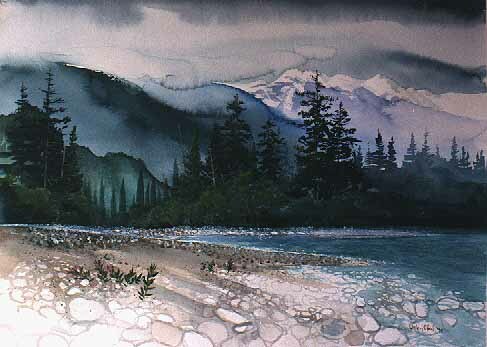 The wilderness of BC and its preservation is of special importance to me. I have been actively involved in various preservation campaigns in British Columbia for the past 15 years. 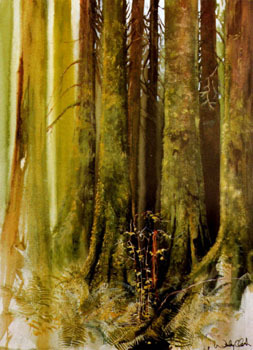 The temporate rainforest on BC's west coast is a favourite theme for paintings. 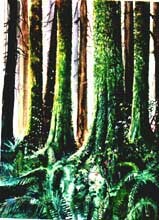 In 1994 the Kitlope Expedition was a highlight in my career as a environmental artist, click on the rain forest painting to visit the "River Leagues" website.